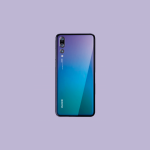 Huawei released the P20 trio (Huawei P20, Huawei P20 Lite, and Huawei P20 Pro) back in April. While the Lite version is a mid-range device, the regular P20 and P20 Pro versions are both flagships. In the recent months, Huawei really stepped up their development. The P20 Pro already comes with Android 8.1 Oreo and as it turns out, it’s getting pretty frequent updates too. Just now, Junior Member at XDA Forums, tamaskurti reported that the device got a new update, with build number CLT-L29C432B131. The first feature in the update is the June security patch. While it’s been about 2 weeks since the release of this patch, it’s still nice to see that Huawei isn’t delaying security updates any further. True, Essential releases security updates almost instantly after they’re available, but Huawei still manages to bring some competition to the table compared to other large OEMs. The next new feature is camera improvements. The zoom button is now placed lower on the screen. I think it’s much more comfortable to use now. But, for unknown reasons, the button is now square-shaped, instead of a circle. Maybe it fits with overall UI? I don’t really know. “This update optimizes system performance and stability. Optimizes power consumption for longer usage. Improves system performance and stability for smoother operations. Optimizes the wallpaper display for a better experience. As you see, the changes I’ve explained above aren’t even mentioned in an official changelog, which is a bit strange, but it’s a common practice for Huawei already. Nevertheless, this is definitely a welcoming update as it contains some new features while improving stability and security. The update will roll out gradually and it will be available on every Huawei P20 Pro soon.